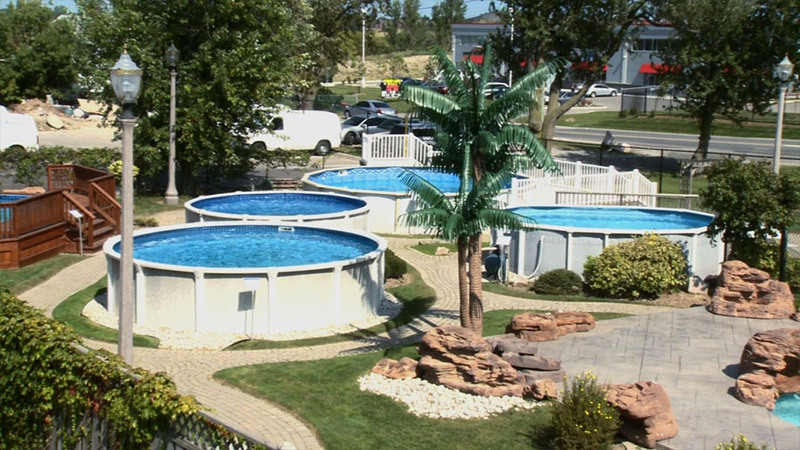 For over 45 years, Bob Simpson has personally handpicked our line-up of aboveground pools. It has been his philosophy to offer our consumers a selection of good, better and best without compromising quality for price. We have never offered pools with colossal structures because we know from experience, that bigger is not always better. Our decisions are based on strength, design, manufacturer support and durability. 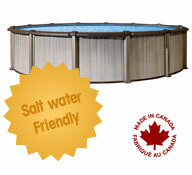 Our pools are not trends, but products we are proud of. If you are looking for the best of the best, we encourage you to visit our pool court – Ontario’s largest! Touch and envision for yourself, what our pools will look like in your own backyard! The Pool Shoppe is excited to welcome the Inovo by Trévi Manufacturing to our family of aboveground pools! 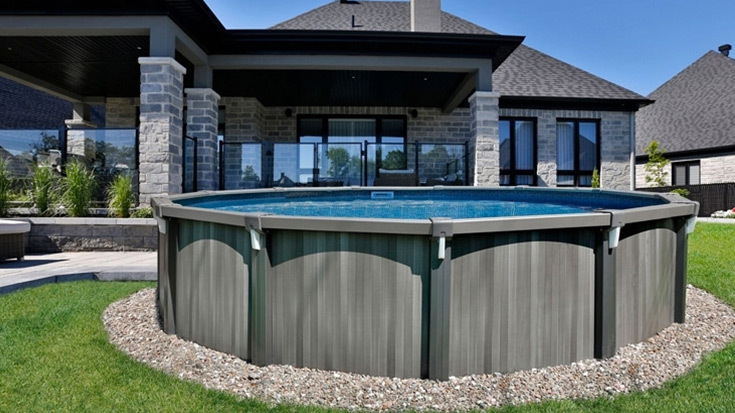 Trévi has been in business as long as The Pool Shoppe has, providing peace of mind, unparalleled quality and rock-solid construction. Designed to withstand our harsh winters, no one builds an all resin frame like Trévi does. The Inovo features a scratch-resistant Extruded Resin Top Ledge with molecular memory to prevent warping – the strongest in the industry! The Inovo’s zen-like design is sure to compliment the oasis you have always imagined in your backyard! Optional Solar Light Kit includes 3 LED solar lights. Each light can be set to its own colour and installed into the decorative seat cap extension. 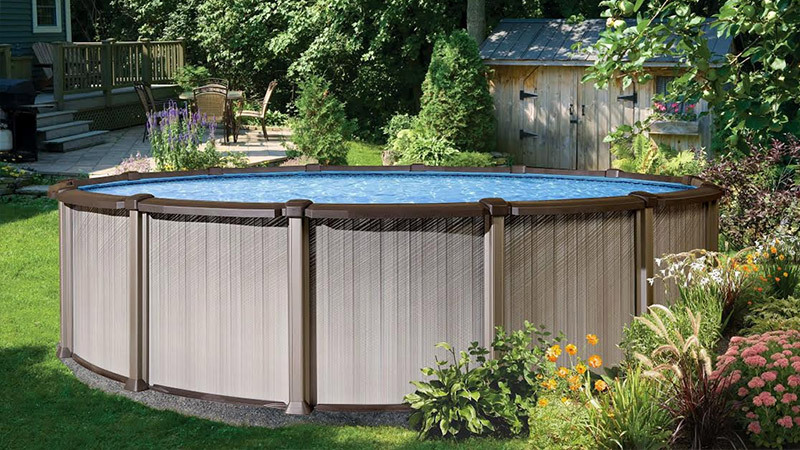 The Influence family of pools have been The Pool Shoppe’s top sellers for years. Combining the practical with the extraordinary, the Influence offers the perfect balance between function and aesthetics. With its smoothly curved top ledge, strong lines and solid construction, we have no doubt that our Influence will provide you with years of vacationing pleasure at home! 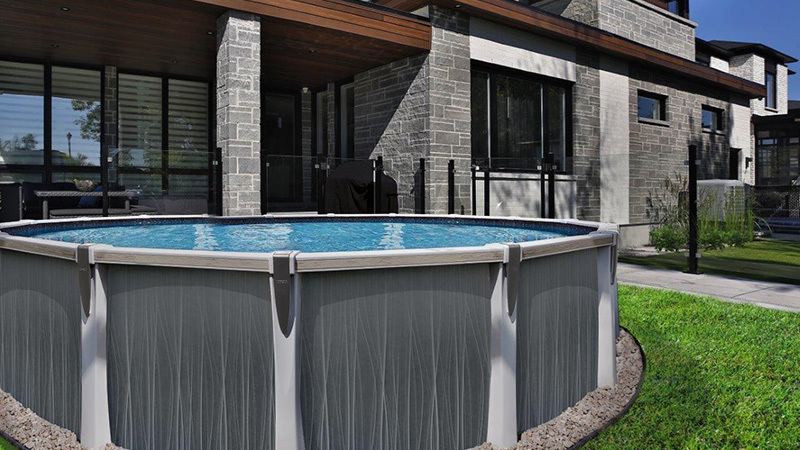 ￼Sleek, modern lines and unsurpassed durability… The Trévi Stellar is made of both steel and resin – our newest hybrid aboveground pool. Its contemporary look is aligned with current & modern trends, sure to enhance your outdoor environment. Optional solar charged lights will automatically turn on when the sun goes down. Featuring 7 colour options (sold in sets of 3). The new Mocha Metallic Elixir accomplishes the perfect balance between function and aesthetics with a unique style all its own! 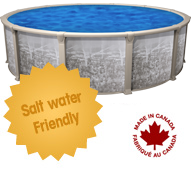 The Elixir and Liberty pools are the only Hybrid pools recommended by The Pool Shoppe and supported by their manufacturer to withstand the nature of salt water pools. The Liberty has been designed with both resin and protected steel components providing not only strength but superior value! 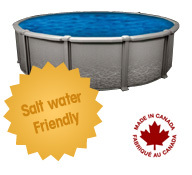 The Liberty and Elixir are the only Hybrid pool recommended by The Pool Shoppe and supported by its manufacturer to withstand the nature of salt water pools. 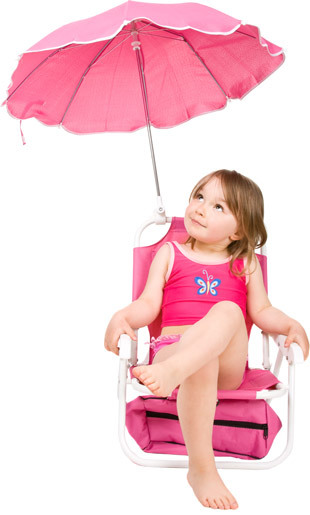 Pool Shoppe pools can be purchased with or without an equipment kit. 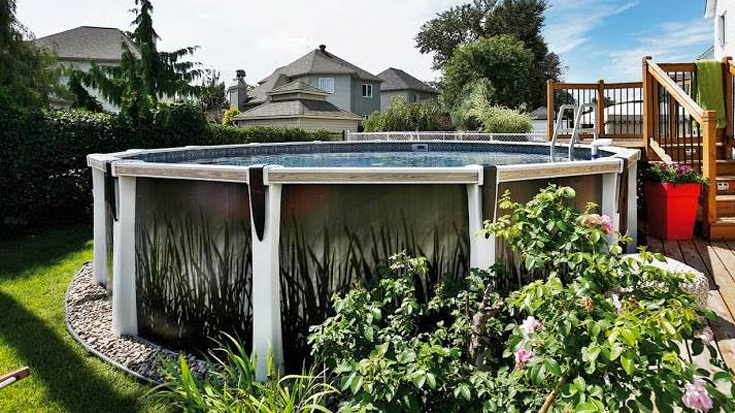 Using our many years of experience, we only include equipment and accessories that make sense for the aboveground pool owner providing not only protective features to maintain the integrity of our pools, but tools that make equipment operation much simpler! 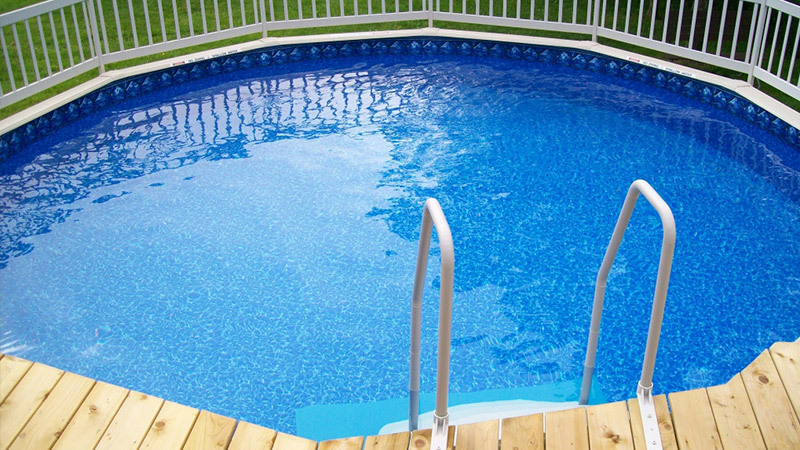 All Pool Shoppe pools are installed with foam coving and ½” foam flooring. 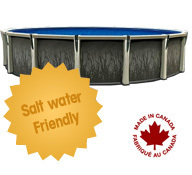 This supportive cushioned floor increases the life of your pool liner by repelling tree roots and stones that can surface due to water erosion or movement in the sand base below. 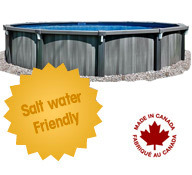 For the Self-Installer, these items can be purchased in addition to your pool package. Please contact us for more information. All packages can be suited to the client’s needs with upgrades.